These darling dresses make a beautiful unexpected card for your special mother. Easy to make and very delicate. Your mom will be very surprised you made it. 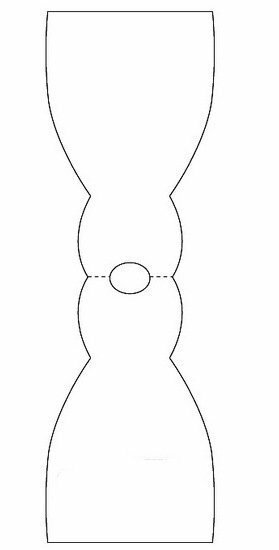 Take your pattern and cut out dress pattern. These can be made any size you wish. 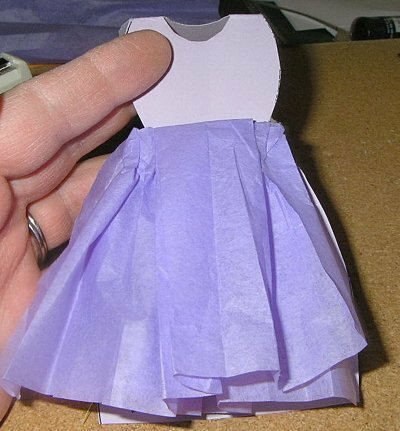 Next, take some tissue paper and measure the dress from the center where the waistline would be and double that. Use about a 6 inch long piece. 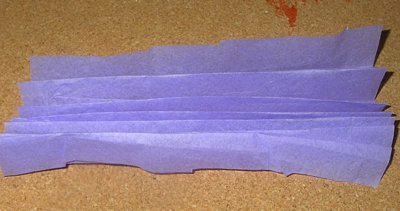 Begin to fold the tissue paper into accordion folds until you have reached the end. Open up the dress and lay it out so the front and back are showing. 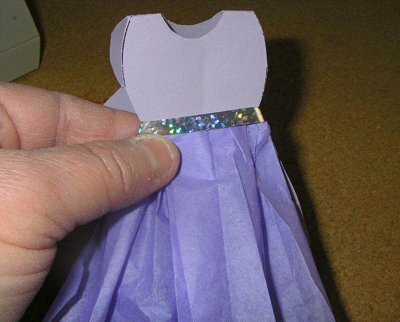 Fit the middle of the folded tissue paper to the center of the dress (waist line). 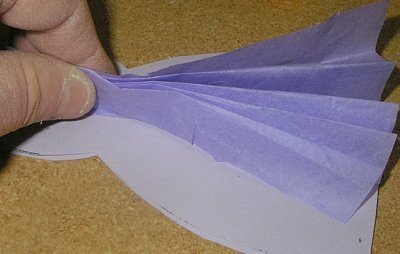 Using double sided tape, tape down half of the tissue paper you folded and spread it out so the folds are equal. 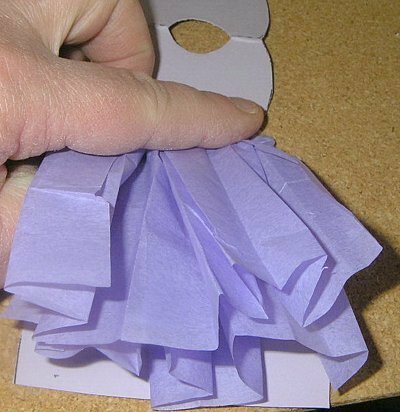 Make sure your tape fits around the center and there is some left over on the back of the dress. Now bring over the top piece and secure with the double sided tape you used earlier. This should look like a layered dress. 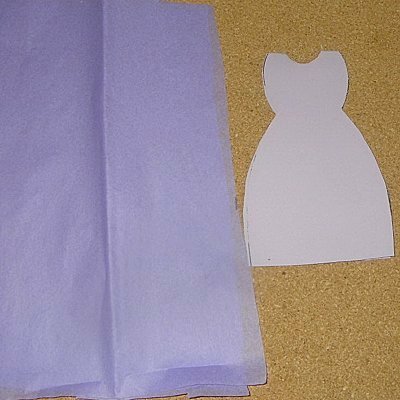 Now, you can decide if you want to trim off the dress's second layer and add another layer to make it taper or if you just want to keep it two layers. 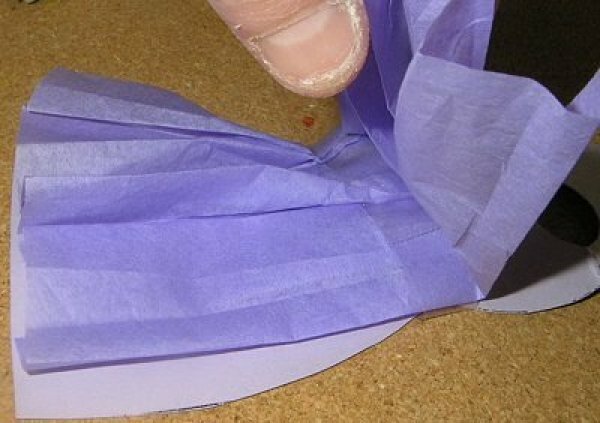 Take a piece of ribbon and cut it a little bigger than your waistline and put it over the top of the tissue paper at the waistline and attach it on the back where you left extra tape. 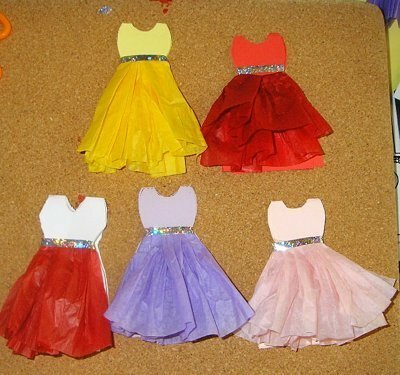 You can embellish the dress any way you like. I made mine formal so I attached small colored pearls and jewels to make it look like buttons on the dress. What a great gift. Thanks for step by step directions and photos. Cute, cute, cute! I am "into" card making now and always looking for ideas, thanks for sharing. One of the cutest Mother's Day cards I've seen. Great photos and really good instructions too. Thank you for sharing just in time for a special celebration. I'll be wanting to find a way to use them for all sorts of holiday cards now. Thanks Gem!! These are beautiful! PookaRina is right- these can be used for lots of occasions!